Review of the YoYoTricks.com Sage yoyo. 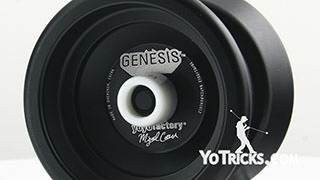 The star profile shape featured on the Sage yoyo was first introduced by YoYoFactory in 2009, setting a new standard for what players could expect from plastic yoyos. 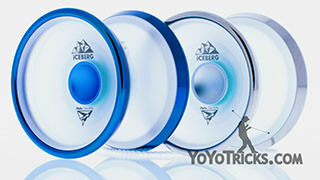 The shape proved its worth in 2010 when it was used to win the World Yoyo Championship in 1A. 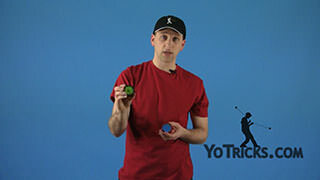 Fast forward to 2013, we at YoYoTricks.com were still building our database of trick tutorials. We were teaching with the Luminator yoyo. 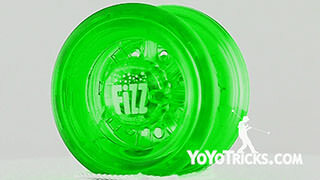 Later that year, the company which made the Luminator decided to stop making yoyos altogether. So we needed a new yoyo to teach with, but if we were going to replace the Luminator, it had to be better in every way. At the time, YoTricks was too small a company to manufacture a new design from scratch. 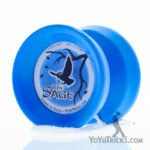 So YoYoFactory suggested we retool one of their existing designs, so the Sage was born. 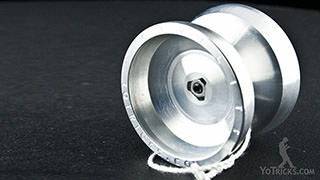 Even though the Sage was based on that same one star shape, this was the first time that a world class design had been adapted for use as a starter yoyo. 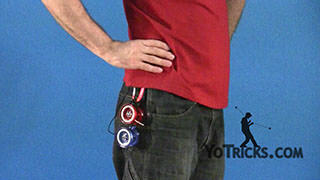 Before this, every star shaped yoyo had been set up for advanced or unresponsive play. 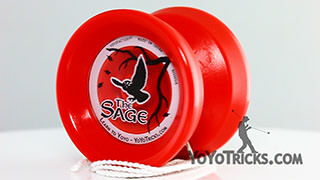 With the Sage, we re-envisioned what a starter yoyo could be. 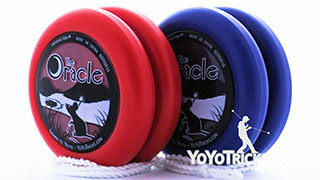 Like any good starter yoyo, we set it up to be easy and responsive, so it would be good for learning the basics. 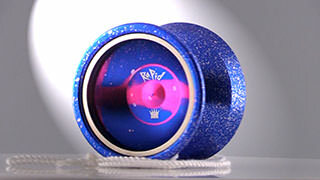 But because it was built using a competitive design, it can take you further than other starter yoyos on the market. And best of all, by simply swapping out the bearing, you can get that same unresponsive advanced performance without any further modifications. 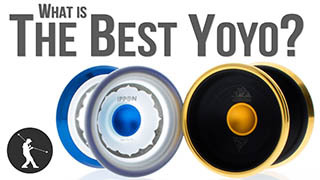 In late 2015, yoyofactory officially retired the yoyo on which the Sage was based, because they felt the Sage better fulfilled their intentions for that design, and the Sage sold better in the same amount of time anyway. Once that model was retired, we made slight improvements to the mold of the Sage. Without changing the profile of the yoyo, we did make some slight but significant tweaks to improve both responsive and unresponsive performance, making the Sage a yoyo all its own. 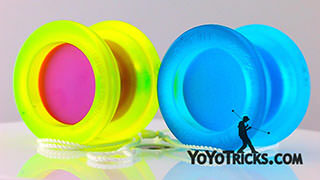 When you get the Sage yoyo, it is going to come in the YoYoTricks.com small box. Like any yoyo that comes in the small box, it is actually a lot easier to get the yoyo out of the box if you remove it from the bottom. You can see in the box that it also comes with replacement string and is really easy to get the yoyo out of the packaging. Since the yoyo does not come with the string on it, that means the first thing you are going to have to do is put the string onto the yoyo. For the Sage, the string goes on it like most yoyos, where you just open up the bottom, slip it right over the yoyo, and you are done. 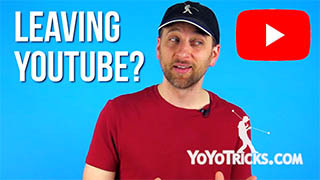 If you do not know how to do that and you want another video, we have got a video that shows you just how to do that, so that should be able to help you out. When you look at the Sage, the first thing that you are going to notice is that star shape that we have already talked about. The nice thing about this is that it is nice and wide. 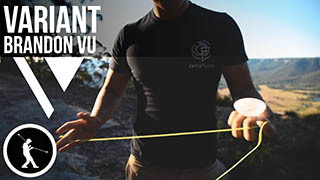 When you start getting into tricks where you land the yoyo on the string, you have got a lot of room for error so that you are going to land your tricks more often. 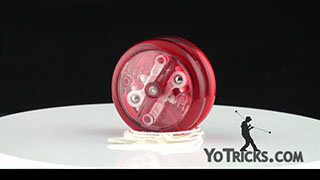 Also every bit of its width is used to aim the yoyo right into the center. 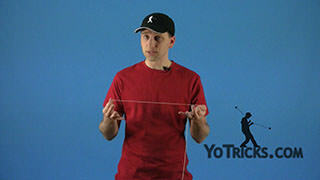 So you are getting the full width of the yoyo helping you learn those tricks. And that is one of the things that makes it so great for advanced play. But as a beginner, you can see that would be really helpful as well. A lot of other starter yoyos are a lot smaller and they are more rounded shapes, which are more comfortable to hold, but the Sage gives you that extra bump in performance which is why we like it for new players. So once you take the Sage apart, you can start to see some of the other advantages of this design and how it is really simple, but it all goes toward performance. The first thing that you will notice when you take the Sage apart is that the bearing sits right on the plastic. There is no spacer that is in this yoyo. That actually solves a lot of problems for new players. A lot of times players will put the spacers in upside down, or they will lose on of them and then their yoyo will not work anymore. With the Sage it just eliminates all of that because the bearing fits right onto the yoyo. We really like that part of the design. 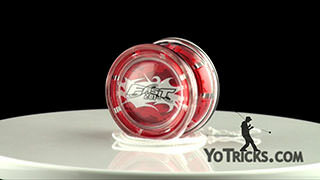 The other thing that you will notice is that the response pads are perfectly flush with the side of the yoyo. Some beginner yoyos, what they do is the response pad comes out just a little bit. The benefit of that is that when the yoyo is playing, it will always be perfectly and consistently responsive even if you do not use any lube or anything like that. With the Sage, because the response pads are flush with the side of the yoyo, that does mean that every now and then you will have to lube the yoyo, on the bearing, with Thick Yoyo Lube. All you do is just put a drop or two right into the bearing, right on the balls there. That will help it to work just like it is brand new. 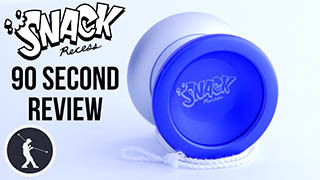 Now the advantage of this kind of design over what we were just talking about is that since the response pads are flush, the yoyo actually sleeps quite a bit longer than yoyos that feature that other design. It also plays better on the string. The string will slide through the center of the yoyo a little bit better and you can load more strings into the gap. So we felt like since this is a yoyo that is built performance, we wanted to go in that direction, even though there is a little bit of maintenance that you have to do every now and then. 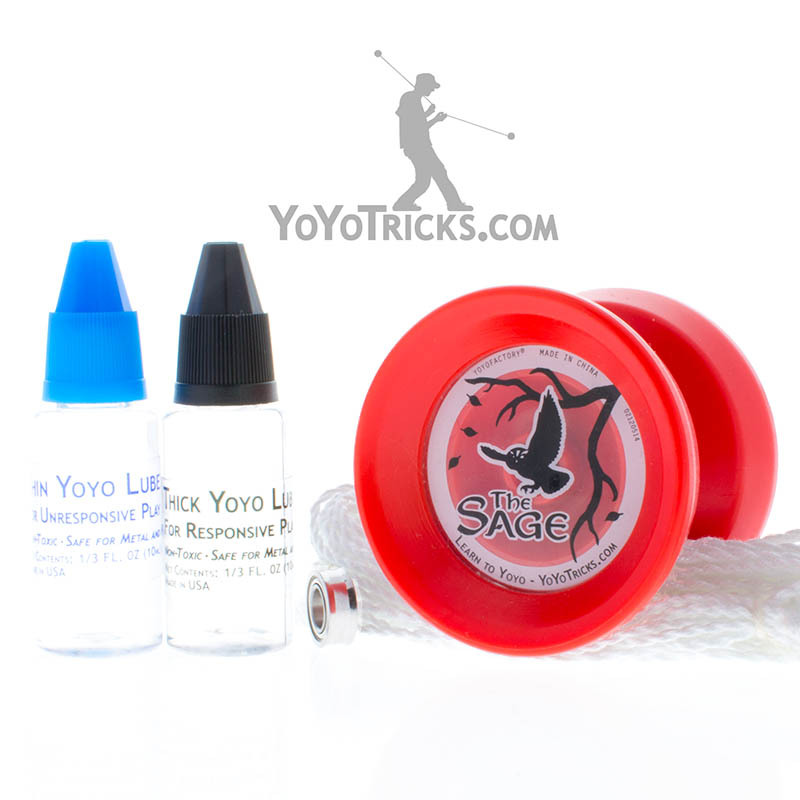 Now if you do want to get some Thick Yoyo Lube with the Sage, which we do recommend, we have a pack that includes it. It is the Sage Yoyo Starter Pack. This is for new players. If this is your first yoyo, it is a great way to go. It comes with extra strings so you can change those out while you learn more tricks, and the lube to keep the yoyo playing the way you want. Another thing you will notice when you look at the Sage is that even though this wall right here is really thick around the outer edge, the weight is actually pretty evenly distributed through the whole yoyo. There are different advantages for weight, if it going to be in the center, or in the middle, or outside, and the Sage has a very even weight profile. We think that is really good for a starter yoyo or somebody’s first yoyo, because it gives you a very even play experience. We will talk about this in the tricks section as well. One other thing that you will notice is coming right off of the response pad area, the shape immediately slopes away. That is called a Zero Wall design because there is no wall coming off of the response pad area. That is really nice when you get into string tricks because if you can imagine if the wall goes straight up and the string starts to lean against the side of the yoyo, it will push into that whole wall, which causes a whole lot of friction and the yoyo slows down a lot. With the Zero Wall design, even when the string is touching the side of the yoyo, it can only touch it at this little teeny spot. So it reduces friction and you get better overall play. Now another thing that we really like about the Sage is that the bearing is really easy to remove and swap out. So if you just get a pair of pliers and you just squeeze the bearing and rock it gently off, it comes right off with no fuss. Then you can replace it with a wider bearing. 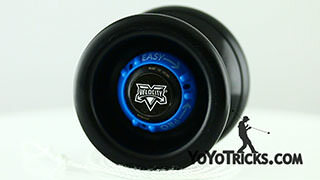 In this case, this is a Center-Trac bearing, and again that just goes right onto the yoyo. 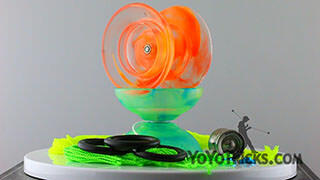 That allows the yoyo to play unresponsive or more advanced. 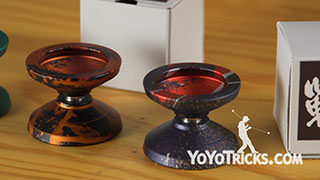 So you can quickly and immediately upgrade the yoyo for more advanced tricks. That is it. There is not changing of the bolt, there is no changing of the response pads. It just works. So if you are thinking that you want to get a Sage because it is easy to use but ultimately you want to upgrade it, we also sell a different pack called the Sage Pro Pack, and that includes this bearing that you can use to swap in the yoyo. It is going to come just like a normal Sage with the slim bearing playing responsive. When you are ready to upgrade you can always swap it right out. So the Sage yoyo, one of the other things that we really like about this design is that the plastic is POM plastic, which is especially good at being impact resistant. 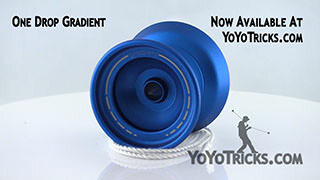 When you are a new yoyoer, a lot of times what happens is the yoyo is going to hit on the ground an awful lot. 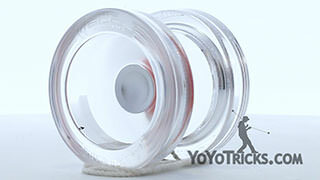 This type of plastic is specifically designed to resist that and to allow the yoyo to play great even if that is happening. But one thing that you want to be aware of is that when you put the Sage together, it will get to a point where it is snug and that is where you want to stop turning it. If you want to, you could really crank it and get it to turn more, but eventually either the bolt in it will strip, or the bearing will actually dig down into the plastic and that could ruin the yoyo as well. So if you want to make sure that the yoyo plays great for a long time, just when you put it together just wait till it is snug, and then you just stop right there. All in all, this is a really durable design. It is really great for learning the basics and going up into advanced tricks. Let us take a look at how it plays. When you first get the Sage, it is going to play really easy and responsive. 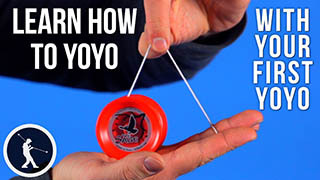 What I mean by that is that even if your throw is not all that great, you can just give a little tug on the string and the yoyo will still come back to your hand. The reason for that is that the bearing comes pre-lubed. As you play with the Sage over time, what you are going to find is that you are going to need to tug the yoyo up just a little bit higher to get it to come back in the same way. When you start to get into string tricks, this is actually an advantage, because when you start doing different tricks, when the lube is worn it a little bit, it gives you a little bit more flexibility. So there can be a little slack in the string before the yoyo comes back and that makes string tricks a little bit easier. 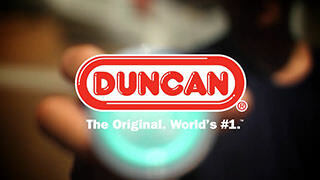 But if you are the type of player that just wants it to play really easy and responsive with just a little tug, all you have to do is lube the bearing with thick yoyo lube every now and then and it is not too hard to find your sweet spot and keep the yoyo playing exactly the way you want. One thing that we already mentioned about the Sage is that you can upgrade the bearing in the Sage so that it no longer plays responsive, but instead it plays unresponsive. So I have a Sage set up just like that here. What we have done is we have taken the Center-Trac bearing that comes in the Sage Pro Pack and installed it in this yoyo. 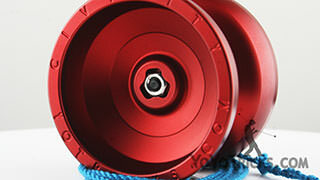 Now the Center-Trac bearing is designed to keep the string more centered than a conventional bearing. What that does is it keeps the string from touching the side of the yoyo, which you know, causes friction, and can kill the spin. So it helps the yoyo sleep a little bit longer. It also makes it a little bit more tilt resistant than a flat bearing would. 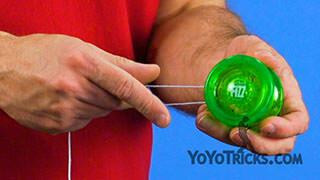 Of course you can still correct the tilt on the yoyo just like any yoyo by extending your yoyo hand forward and back. That will correct the lean. 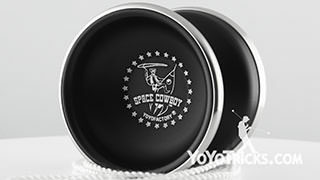 It is a really nice upgrade to the yoyo and if we were to compare the Sage to other unresponsive yoyos it is going to play, the weight is actually little bit lighter, and the star shape helps the yoyo to play on the faster side. When you start to get into more advanced combos, you will find that this yoyo is really good at different speed elements like that. The weight is also really evenly distributed on this yoyo. So you will find that it is good for a wide variety of tricks. Also when you get into horizontal play, that light and fast play style, once you have started to learn the basics, you are going to find that the Sage is really fun for those types of tricks and you can really blow through those types of combos that you are working on. It is just an overall great experience. So from the very beginning all the way up into advanced tricks, the Sage is a yoyo that you can really stick with an enjoy the whole experience of yoyoing without feeling the need to upgrade right away. So in a lot of different ways, that is why we are so happy to have the Sage at the center of the YoTricks experience. We use it to teach our tutorials, both for some of the basics and the advanced tricks, and we are just happy to recommend it to pretty much and player that is really interested in learning tricks and taking their skills to the next level. 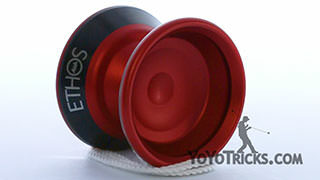 So, that is the Sage yoyo. Usually when people ask if the Sage can finger spin, I say no because it is really not great for learning finger spins, but once you have got the technique down, it is not half bad.